National Farmer's Day is October 12, when the dairy industry shares inspirational stories about people like Daniel Perazzo, who latched on to a big goal when he was only 6 years old. FALLON, Nevada -- The number appeared like a lightning bolt from a clear Nevada sky. It sparked a dream so big only a 6-year-old with an active imagination could believe it. High costs and low milk prices are forcing too many multi-generational dairy families to sell their farms to try something else. This is not one of those sad stories. It's an inspirational tale for National Farmers Day (October 12), when the country pays tribute to all farmers and the dairy industry showcases real people like Daniel who get up early every morning to milk the cows and chase their version of the American dream. Milk from America's dairy farmers ends up on local supermarket shelves. But it's also in dairy products like cheese and ingredients like whey protein shipped to fast-growing parts of the world where local dairy production can't keep up with rising demand, creating new opportunities for farmers like Daniel Perazzo. 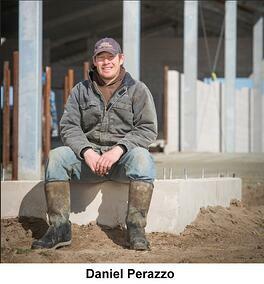 See videos of other farmers like Daniel Perazzo, undeniably devoted to dairy. The U.S. Dairy Export Council, National Milk Producers Federation and International Dairy Foods Association are showcasing the impact on a portal called "Got Jobs?" The message: Dairy creates job and exports create more jobs. Another 2 million jobs indirectly. $628 billion in total economic impact. $64 billion in business taxes. More than 1 percent of the country’s Gross Domestic Product (GDP). This is a world of global opportunity Daniel's late, great grandfather, Otto Perazzo, an Italian immigrant, could not have imagined when he bought the Perazzo homestead in 1941. What drove Otto Perazzo was the belief that anyone in this country, no matter his or her heritage, can start an entrepreneurial venture that lasts generations. That's exactly what has happened with the Perazzos, who keep investing in their farm, community and world. Daniel Perazzo, now 35, will never forget that day 30 years ago when the number 1,000 first came to him. A child math whiz, he grabbed a sharpened pencil and spiral notebook. Sitting on his stool, he neatly wrote every numeral in succession, from 1 to 1,000 "just to feel how big 1,000 was." He did this six times. His conclusion: 1,000 is a big number. “It also seemed like a nice, big round number,” recalls Daniel. Critics like to characterize us as “Big Dairy.” It’s true that the average dairy herd size has increased over the years. But what’s overlooked is that more than 95 percent of dairy farms are family-owned businesses, not multinational corporations. What's more, many of the manufacturing plants, including the plant the Perazzos ship their milk to, are farmer-owned. Fallon is a rural community with a population of 8,600, bisected by U.S. Route 50, the "Loneliest Highway in America," where the official speed limit is 75 miles per hour, but most folks drive faster. If you head eastbound on Highway 50 and don’t stop in Fallon, the next town is 110 miles away. To many, the desert doesn’t seem like a place for a dairy business. But the Perazzo family has kept its operation running since Harry Truman was president and gas cost an average of 15 cents a gallon. 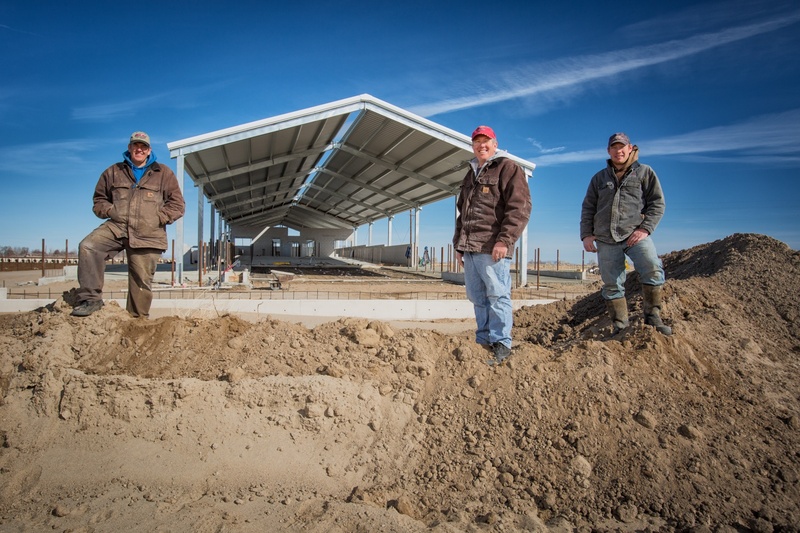 Pooling resources and taking out loans, the Perazzos took a bet on the future of dairy exports by building an ultra-modern barn that enabled them to expand their herd. Daniel Perazzo is right, Alan left and David center. Like most dairy families, the Perazzos have had ups and downs. Ten years ago, the situation looked particularly bad as market dynamics lowered demand for Nevada milk. Part of the problem was a lack of nearby processing plants, making milk transportation expensive. The Perazzos had 500 cows at that point but not much hope. In some ways, the Perazzos were experiencing the consequences of the industriousness, innovation and efficiency of American dairy farmers. When Otto Perazzo farmed in 1950, the average U.S. cow produced roughly 5,500 pounds of milk per year. With advances in technology, nutrition and animal care, the average cow is now producing about 25,000 pounds per year. That efficiency has a downside. It contributes to a widening gap between domestic supply and demand. Unfortunately, the gap is projected to get worse, putting more farmers out of business if we rely entirely on U.S. consumption. Fortunately, about 95 percent of the world’s population lives outside the United States, and much of it needs to import dairy products. The U.S. dairy industry saw this coming decades ago and began investing in export strategies. Consequently, U.S. dairy exports have increased 604 percent since 1995, to $5.5 billion last year. Global demand is projected to continue to increase, creating new opportunities for farm families like the Perazzos. 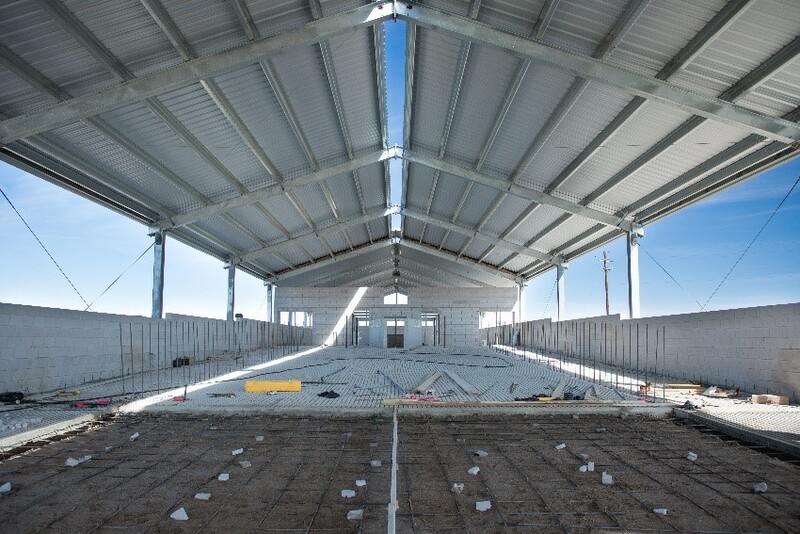 Taking a bet on a more global future, Dairy Farmers of America (DFA), a national cooperative owned by family farmers across the United States, built a gleaming white, modern dairy powder facility in Fallon. Daniel’s dream of that 1,000-cow herd rose from the dead. 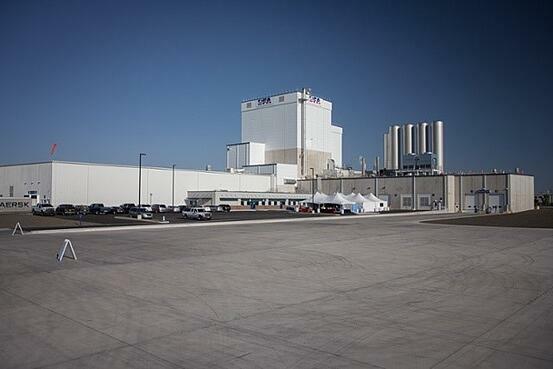 This DFA milk powder facility in Fallon opened in 2013 to meet long-range global demand. The plant would take all the milk the Perazzos could produce. The powder would be transported to West Coast ports in 25-kg. bags (55 pounds), then shipped to overseas markets. Pooling resources, Daniel, father Alan and uncle David took out loans to build an ultra-modern barn, employing local workers while doing some of the construction themselves. They have made the most of the opportunity. This year, Perazzo Brothers Dairy was named the Dairy Farmers of America 2018 Western Area Member of Distinction, as highlighted in the video below. Milk prices have been so low they have put many American farmers under tremendous financial pressure. There is, however, hope for the future. Global supply and demand dynamics still look promising for the long term. Many countries in Asia and other parts of the world can't produce enough milk to meet the dairy needs of their own population. This is where U.S. farmers and exporters can step in, meeting the need with our abundant supply, strong safety record and sustainable farming practices. The Perazzos have been buying as many cows as they can. After another purchase of cows on February 8, they hit a milestone. Daniel wrote 1,035 on his calendar, up from 958 the day before, reaching the 1,000-herd goal Daniel set as a dreamy 6-year-old. 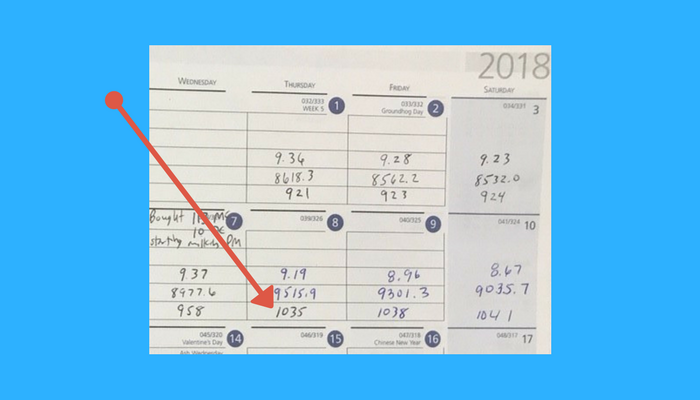 It took nearly 30 years, but Daniel Perazzo's childhood dream became a reality when he penciled in 1,035 (cows) into his calendar on February 8. The Perazzos didn't blow any horns or set off any fireworks. They don't drink alcohol so a bottle of sparkling wine was out of the question. They simply went back to work. “There really wasn’t any celebration,” Daniel said. Just quiet satisfaction of a goal being met through hard work, risk-taking business decisions and faith in the future. This ultra-modern barn was constructed to help meet future export demand. As global dairy demand continues to grow, the Fallon processing plant will serve as a great source of U.S. milk powders. The Perazzos can add even more cows. They have already reached 1,100. They built their ultra-modern barn with room for 1,600 cows. Thanks to overseas dairy demand driving an increase in U.S. Dairy exports, Daniel's dream of caring for 1,000 cows wasn't too high. It may have been too low. Mark O'Keefe is vice president of editorial services at the U.S. Dairy Export Council. National Farmers Day is Friday, October 12. Search for the hashtags #NationalFarmersDay and #UndeniablyDairy on social media to find and amplify stories about real farmers like Daniel Perazzo who are behind the U.S. dairy products people around the world love. Got U.S. Jobs? Dairy Creates Nearly 3 Million!